Have you ever heard that joke? Believe me, if you knew what I was talking about you’d be rollin’! Is Taylor trying to tell us something? Is all the talk about the new album having a possibly country sound to it, really just Taylor speak for rap? You know, everything is a cryptic message with that guy. I’ll bet he’s going to change his name to Gray Master Tee and everything. Either that, or he’s just raising his hands to air out his armpits . . . who knows? I loved all these pictures, but I have to agree #5 is super hot! 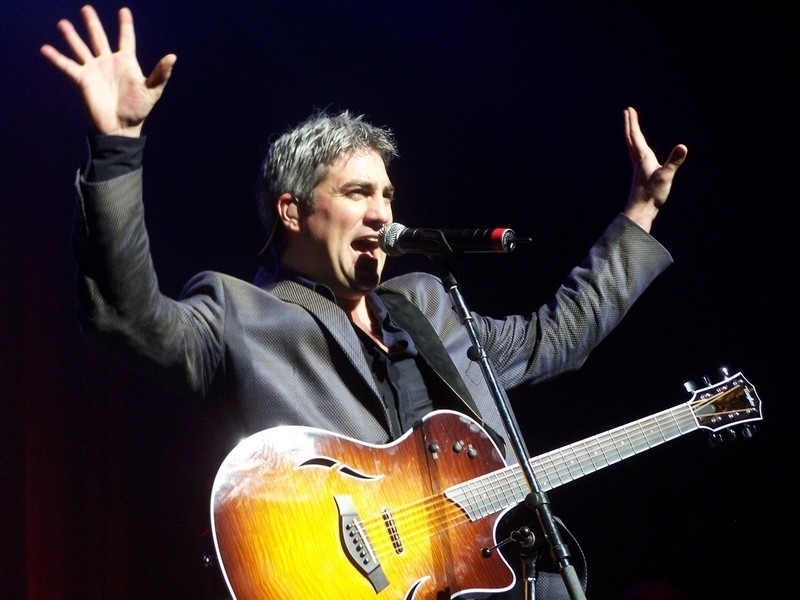 I love me some Taylor Hicks! Oh, forgot to say WHY I love me #3- cuz his shirt’s down to almost GREASE level there- and that makes me happy….!! What wonderful pictures!!!! I love them all. It doesn’t matter what Taylor is doing, he does it the best. I like the last one the best. That was such a great interview. Thanks for all of these great pics. Love #5 too. taysharmonica-you are so awesome providing this great site! What a great way to start off my day. I love seeing Taylor first thing in the morning. That interview was awesome, tishlp, and the last one is a wonderful reminder of how great that time in his life was for all of us! Oh yes indeed! Soul Patrol all the way! Looks like he is surrendering to the Soul Patrol!!! #4 well that one looks a little… should I say it? Gay. #11.. looks like he is about ready to start practicing his moves to MJ’s Thriller. #4–LOOK! I can do the chicken dance too! #8–I have super duper fast fingers! Timewarpnut, I believe you’re right about #2. I’m pretty sure that was taken at the Beacon during NITJ. I’ve watched that video enough times that it’s burned into my brain. I hear “Naked in the jungle” playing in my head now. Number 4 is Boston “speak out speak out speak out speak out” for sure!!! Love the hands. Wow! 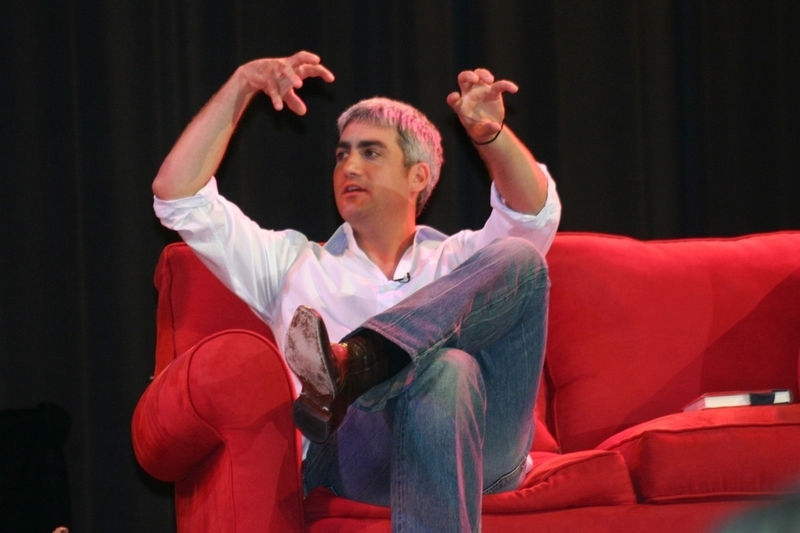 I love how Taylor tells a story with his hands (like NITJ in #2, etc.). I don’t know what it is about it, but I literally gasped when I saw #5! TH**!! Wonderful pictures. He speaks well with his hands. I’m kinda partial to #6…gee I wonder why? Thanks for posting it. #3 looks like he’s attempting to figure out a multiplication problem on his hands. #3 and #5 “really trip my trigger”. Speaking of tripping my trigger here’s a story… The road I’ve been living on for 25 years needed to be renamed because there were two roads/streets with the same name. There are only 5 homes on that road so the county asked us all to send in suggestions for a new name. I was angry that they were changing the name so I played along. My entry? Taylor Trips My Trigger Trail. I now live on Deer Hollow Court 😦 Tthe county has no imagination. I took the #11 pic but I can’t remember what he was describing. 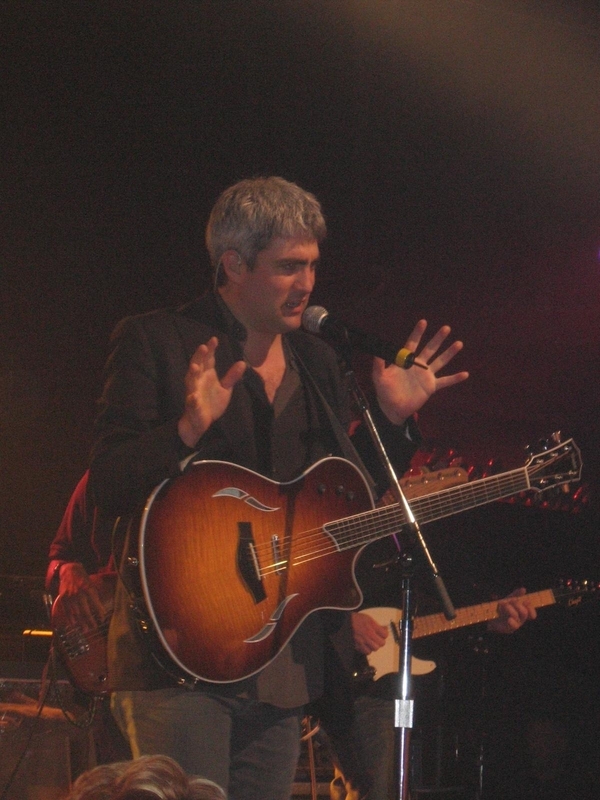 He sure did gesture a lot that night – I was enthralled. Does anyone know what he was talking about then? I’d like to see him do a nice long interview like that again. Let’s all write to FOX in B’Ham! I always love opening the blog and looking at each picture, then scrolling down s-l-o-w-l-y to see what is next. These were fun and brought back memories (yes, I did my usual game of trying to guess where each one is from — I think I got about 90% of them). Today, #2 and #8 really hold my attention. Talking with his hands? Do you think Taylor may have a little Italian in him? I mean them all…see what these pics do to me, I can’t type! Aw..nobody’s heard the “Come in Tokyo” joke! It’s a prank some guy will play on an unsuspecting girl that involves a long story, volunteers from the crowd to help act it out and a surprise twist at the end where he tries to communicate with Tokyo by adjusting the “dials” on her chest. Hilarious. Yeah, back in college, I didn’t think it was very funny, either when my boyfriend’s roommate did it to me. raise your hands for the SOULMAN!!!! Taylor in the house! #10 – Who wants to volunteer to pat that boy down? Great pictures, #5 alright everyone calm down. on October 13, 2008 at 2:13 pm | Reply J. Love ’em all, but #8 is just really cool. Geez, you gals are all asleep — not one comment on #5 about wanting to be the microphone — wazzupwiththat???? Oh, call me mic for short. These are hands down some of the best hands up pictures I’ve seen. Thanks! These pics are like a still life study of Taylor’s beauiful hands. My favorite part of the pics and a humble suggestion to the Mistress Blogeriana is a day of pics of the various band members watching / enjoying Taylor perform. I sometimes have wondered what the band musicians thought of Taylor’s singing. Are they fans?? And as always thank you again. I just love them all… #5 – I can see a little bit of elvis in that one. That man carries around an elvis shadow I swear. *Hands up..baby, hands up… give me your love, gimme gimme your love, gimme gimme…. * Good song..!! TaysHarmonica…you never cease to amaze me with the ‘themes’ you come up with using pictures. I enjoy visiting this blog so much. Thanks again and again. Ah, #3 for a couple of reasons……one of which sallyannlady mentioned early on here! #5 because it’s sooooo intense and #11 just looks like he’s describing his “monster” costume for Halloween….well, it beats being a “bunny” again! LOL Thanks for the great variety of “hands up” shots, TH. I love them all. Thanks as always for the great pics. I love all the pictures. He is very cryptic in how he talks. There are always “messages” in everything he does. At least, I think so, anyway. Love them all! So excited with all the great birthday news of last week! Taylor has expressive fingers…just another one of this talents. Agree #3 with the open shirt is simply GAHHHHH. Love the black shirt in #9 – actually love them all, after all they are TAYLOR, what’s not to love. All the pictures are gorgeous. What always strikes me about Taylor is that he actually looks different when he’s on stage than when he’s just being Taylor, as in picture #11. But either way, he is a sight to behold! Interesting how many of these shots have the black arm band. Wonder if he will ever really let us all know what that meant. In the wake of recent CD news, I think it was to remind him of his ultimate goals while he was doing the “Idol thing”, and to sign a record deal like what he has recently done, just like Brother Ray did, and to start his own label. I think we are seeing a future legend in these pictures. I know he is already a legend to me!